We sat down for an interview with the founder of our first B Corp Pioneer, Brian Linton from United By Blue. For those of you who don't know, United By Blue is an outdoor apparel brand crafted in Philadelphia that is committed to removing one pound of trash from oceans and waterways for every article of clothing sold. As a leader in the sustainable retail industry, Brian tells us about where the idea of UBB comes from, where his passion originated, and his spirit animal. Keep reading for the deets! What sets your retail store apart from others? Our mission is what we do and our tagline is who we are, so we are responsible, durable goods and the product is differentiated by the fact that we take that to heart in development. But, at the end of the day we try to make goods that are responsibly made and that are made to last. We also think about the outdoors and the influence that the outdoors plays on the products. We're not a technical brand by any means but we're a lifestyle brand that is focused on the enjoyment of the outdoors. Therefore, the products are reflective both stylistically and the functionally. And then the coffee shop makes that difference. It’s a store, it’s a coffee shop, it's a community space. We do events and classes. We like to make this a true reflection of the brand which is that we are not just the clothing company. United by Blue is not just a product, it's a holistic sort of thing that we can all be which is community driven brand for good. What was your inspiration to start United By Blue? It was definitely my upbringing in Singapore, which is a small island, and then it was coming to the US and starting a business that was focused on trying to do something good for the environment. So a brand I had started in college was focused on that financial donation model, which, at the end of the day was tiny: hundreds of dollars, minuscule amounts. Proceeds is profit and profit can be almost nothing and you can operate a business for four years and have zero proceeds. I guess the frustration was that the financial donation model seemed limited: it seemed finite, it seemed misleading and I think that, especially for a small company one person college-run company, I was using that as my main focus to do good in this world and I couldn't do any good with it. So that’s where the concept originally came from. After I got out of school wanted to have something that was not relying on proceeds; that was not relying on an external party. Everything became internal: from the systems that we were creating for cleanups, to the recruitment, to the partners that we worked with to do these efforts. It all centralizes within the organization. So in that way we act very much like a nonprofit that we would be donating to but we eliminate the overhead. The most rewarding part of running a business. Part of it is going to clean ups and seeing volunteers come out from all walks of life, not just our consumers. A cleanup is a time where they sort of converge and you get the overlap and you get the people that never buy a product from us in their life and then you get the people that get super excited about it and have supported us for years. It's always amazing to see when you go to a city or a town and they've never done an event like that in their backyard and they grew up there. So we are a catalyst for volunteerism, we’re a catalyst for community change. Most important lesson learned in running a business. I think the most important lesson for this type of business is striking a balance between our business and our mission; to really find where they are altruistic and fit together in a purposeful and authentic and then also in a sustainable way. How was the B Corp certification helped your business? The certification connects us with partners: in a couple of months, we have a cleanup in Texas where we have Cabot cheese coming down to have their food truck and they're going to feed our volunteers. They reached out to us because of the B Corp network. For us, [being a B Corp] also means that we also get serious about things like energy and how we view our business because a retail store like ours--even though it's small--uses a great deal of electricity and has an impact on the environment . Here we're trying to switch to all LED I had no idea before solar states gave us a breakdown of what we were spending on electricity By switching to LED we're cutting our costs and where also cutting our environmental impacts. How can it help other businesses in this industry? There's a growing consumer awareness for what it is and I think that consumers are more and more willing to want to patronize and support retail establishments that are B Corps. Any events that we should know about that we can promote? There's another one of our cleanups at Penn Treaty with Little Baby’s Ice Cream on August 5. How would you describe B Corps in 3 words? And last question...what’s your spirit animal? I don't know if I have one. Maybe a fish of some sort. 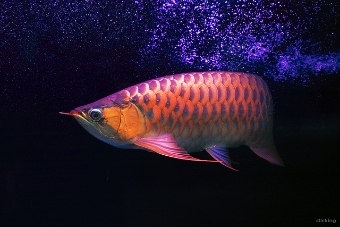 Maybe an Asian Arowana. They are from Asia...they don't breed in captivity…(laughs)...they’re really long and majestic fish...look it up, they’re beautiful. They have two little whiskers that sense things in the water to eat little fish and frogs, and they're worth a lot of money. Thank you, Brian for thoughtful conversation about retail and B Corps and fish! Stay tuned for next week's pioneers- both from industries that are usually labeled as corrupt and greedy but these cats are game changers!